Agudas Achim Preschool is turning thirteen this year, and we have so many reasons to celebrate. We're thriving. The preschool began with an enrollment of just a few dozen children, and now it's grown to a school with over 70 children and wait-lists. In fact, several families joined the synagogue last fall in order to guarantee their children a spot in the preschool this year. We have a one-of-a-kind playground; a gross motor play space that is unrivaled in our area; beautiful, light-filled classrooms; and a challenging and innovative STEAM Lab (science, technology, engineering, art, and math) that just opened last year. Our teachers are dedicated professionals who have shown a willingness and eagerness to engage with new ideas. Our parents (and grandparents) demonstrate their commitment to the success of our program every time they donate their time and energy by volunteering. Most importantly, the children are eager to come to school every day to play, form friendships, and grow emotionally, physically, cognitively, and Jewishly. Our preschool will continue to grow and flourish, but only if we keep an eye on the future and reinvest in our facility and our programming. As we celebrate our b'nai mitzvah year, we're also looking ahead to the next ten years. While we’ve been blessed with generous donors who have enabled us to purchase new toys and equipment over the past several years, we also need to make improvements to the education wing itself. More than anything, we need child-sized bathrooms closer to the classrooms for a variety of reasons, one of which is to relieve the synagogue of the burden of hosting the preschoolers in the over-extended adult bathrooms. We also desperately need more storage space. 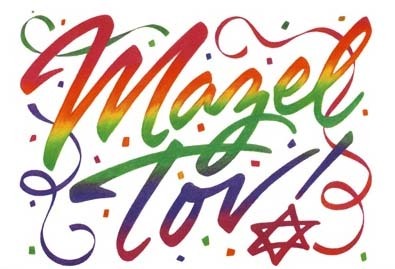 Throughout the year, we will be celebrating our b’nai mitzvah. While details are still pending, we plan on having a Fall Festival for the children in the preschool and in the neighborhood. In February, the congregation as well as current and former preschool families will be invited to a b’nai mitzvah party. We hope you’ll be able to join us. Thank you for all the support this congregation has given the preschool over the past thirteen years. I’m excited for what future years will bring.